Free personal development Tool for yourself, your business or your community. Register and after an email confirmation, logon and complete your Atmascape profile questionnaire. The results of the questionnaire can provide a 'Social Health Check' and see where you are meeting your needs and where you need help. The Social Health Check also shows how you are doing in helping others and if there are areas of your social interactions that need development. In your First Week you can be matched to others who are Similar, Opposite or Complementary to you. Each of these types of people is a 'Social Vitamin' that nurtures your Social Life. Make sure you connect to at least one of each every day. We'll highlight individuals who seem to have the highest level of matching to show which people would be good 'hubs' in your social circle. After connecting and conversing with your first few contacts for about a week, you can move onto Stage Two where you will be given daily task. Attend to an important life priority with the aim of becoming more purposeful. Share your priorities and tasks, completing them with the support of others should you need to. We'll keep track of the most frequent priorities that arise to build a picture of what everybody is focusing on as a group. You can then move onto Stage Three where you will monitor how wise you are in meeting your needs and helping others meet theirs. If you go through a period of challenge your support network will be ready to help you stay on purpose with what you are doing in your life. We'll keep track of how peoples world view changes on a day by day basis. 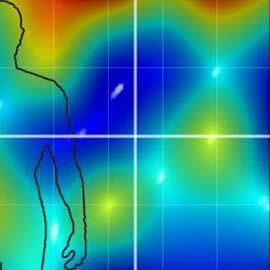 The view 'heatmaps' will be combined into a single 'Big Picture' of the group you are a part of. You'll be able to see trends and shifts happening at the level of your Social Circle and beyond. Use only letters, numbers, or the underscore.